With Tasty Tomato & Mozzarella Sauce. 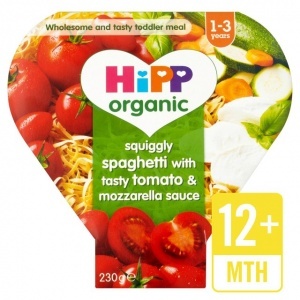 These delicious meals are prepared with care using the finest organic ingredients and specially packed to be microwave-ready. They're healthy and nourishing with just the right tastes and textures to encourage the progression to family foods. Just pop the meal in the microwave and heat to serve. 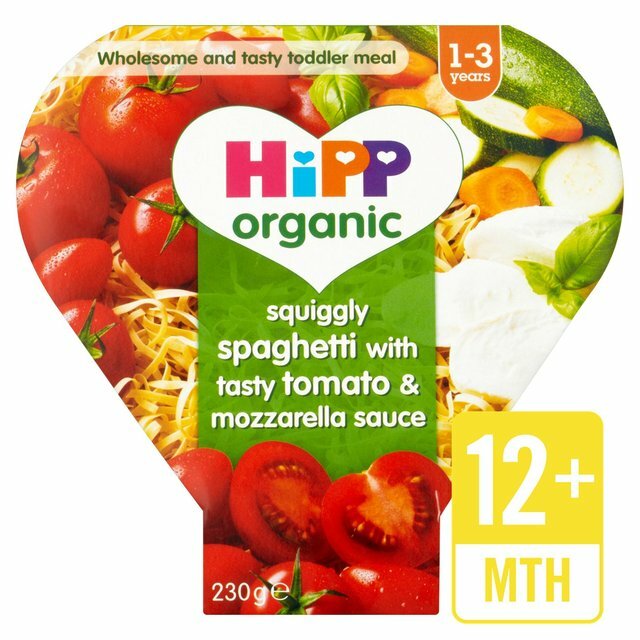 It's no wonder that babies and toddlers love the taste and mums choose HiPP Organic as their award winning favourite time and time again.